Diagnosing automatic gearbox faults is the first stage in establishing the root cause of a gearbox failure. 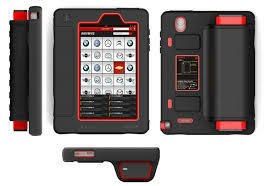 To do this we need to run a scan of the electronic control unit (ECU) to obtain stored information within it. This will tell us if the vehicle gearbox has an electronic fault, or if a slip code is present relating to a possible hydraulic or mechanical problem. Today’s automatic gearboxes are highly complex, and since the introduction of fully electronic computer controlled systems we have seen a huge increase in the need for specialist diagnostic machinery. Today without this equipment it would be almost impossible to work in the automotive industry outside of dealerships. We pride ourselves on our diagnostic capabilities and have the latest scanning equipment. We are currently using, the BMW DIS, Ford IDS, which also incorporates Jaguar and Land Rover, Mercedes star, Renault clip, Citroen, Peugeot lexia, VW vag com, Launch X431, Snap On Solus, and the WOW bluetooth scanner. As part of our ongoing commitment to improve our business and keep on top of our industry, we have invested in the latest valve body testing equpment. 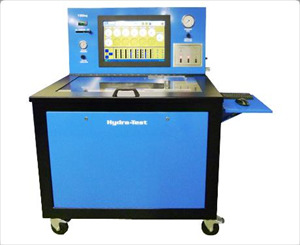 The Hydra Test valve body test machine with data acquisition is the latest model from the industry leaders in this type of equipment. The valve body is the gearbox’s internal brain and is the most complex and technical part of the automatic gearbox internally. The machine enables the testing of valve bodies under the same running conditions as it would be subjected to in the car. The modern day automatic gearbox is ECU (computer) controlled and is responsible for the control of the the valve body via the electrical solenoids. It controls the shift timing and quality to give smooth and seamless shifting of the gearbox, by continually altering the hydraulic oil pressure via the solenoids. Early gearboxes used solenoids that were predominately switched on and off to allow the shifts to take place. Today’s automatics use PWM ( pulse width modulation ) linear solenoids, this means they are continually pulsed solenoids working in tandem with each other. These solenoids need to be calibrated in order for the valve body to work properly, and this is what the machine allows us to do. Without such equipment this type of valve body cannot be repaired successfully, and as most automatic gearboxes are now using this type of system it is imperative for automatic gearbox repairers to own this machinery. JT Automatics are now supplying valve bodies to rebuilders and main dealers. We are currently supplying most of the late and troublesome units. Our current list consists of: Aisin Warner 55-50/51, TF-60, TF-80, TF-81, TR-60, ZF 6HP 26/28/32. These Valve Bodies Cover Manufacturers such as BMW, Ford, Jaguar, Land Rover, Mazda, Peugeot, Porsche, Renault, Saab, Vauxhall Volkswagon and more.